We are happy to announce, that we are soon celebrating our fourth year in the Blackshaw showroom! 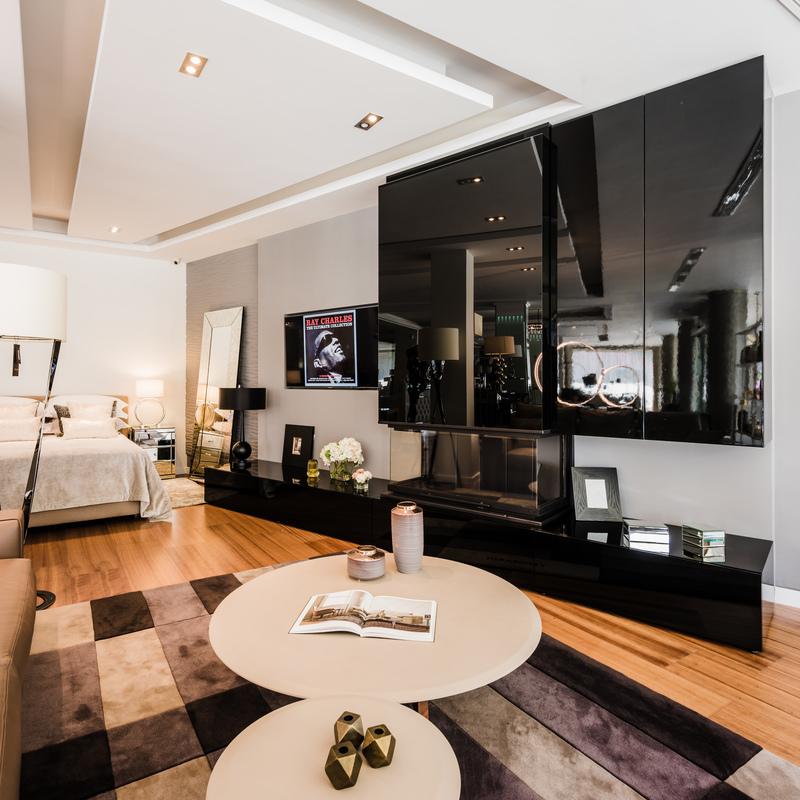 Therefore, we invite you on a virtual tour of the showroom. 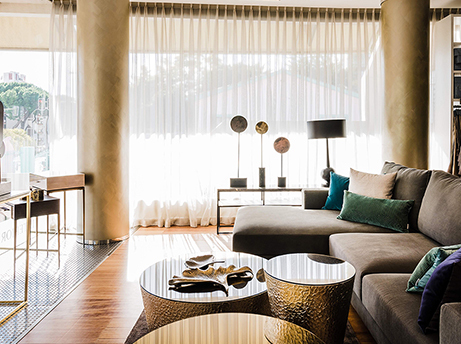 The Blackshaw showroom is divided into different examples of living spaces to give a full taste of the Blackshaw style – a kind of elegance that never fades. The display kitchen has a blend of brilliant lacquer and matt open-pore finishes. Moreover, the modern white hobs and stunning bespoke cabinets were handpicked by the designer. This kitchen is an absolute dream for someone who likes to spend many hours whipping up the perfect meal. Subsequently, the contemporary fireplace that is attached to a wall storage unit creates an ultra modern yet definitely inviting living area. Throughout the showroom you can find a variety of inspirational bespoke furniture pieces. 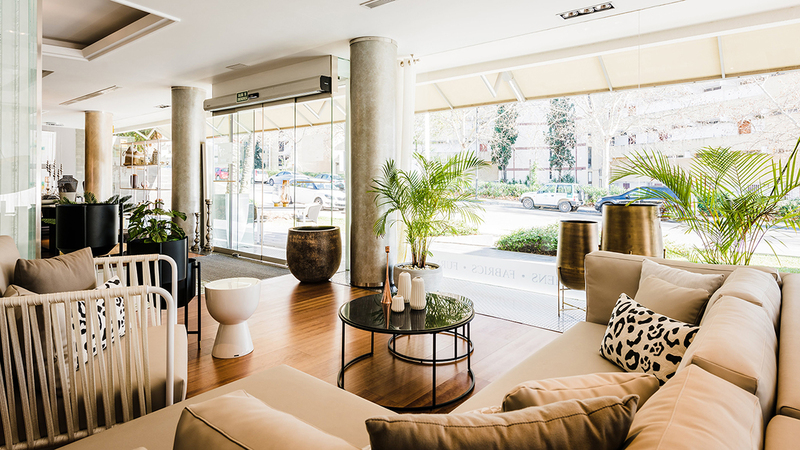 For example, the velvety grey chairs, designed by our team were made to the company’s specifications in Valencia. Also, you will find different paint finishings (such as brushed linen) and glass features (the glass doors featuring beautiful prints are graceful and serious all at once). All the items in our showroom are handpicked by our designers and available for individual sale. The showroom is open from Monday to Friday from 10am to 6pm. 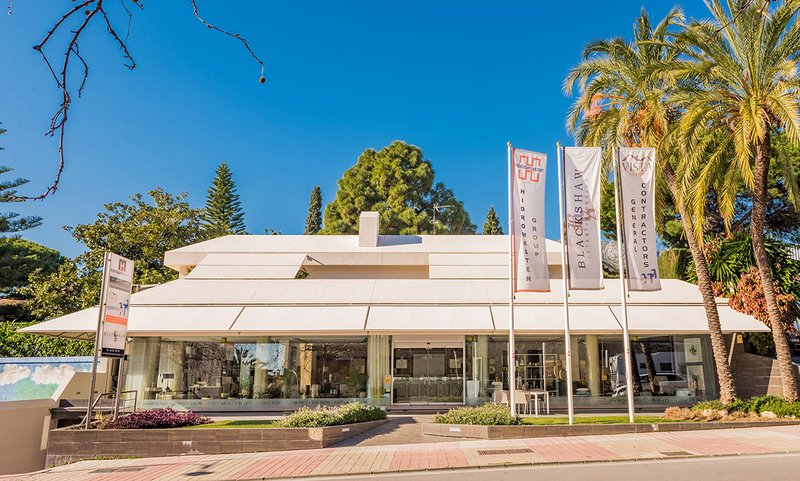 We are located on Avenida Canovas del Castillo 25, Marbella. Come, get inspired and say hello to the Blackshaw team!